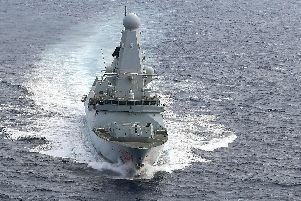 A FRIGATE designed by experts in Portsmouth has been ordered by the Australian Navy, defence giant BAE has announced. The Commonwealth military has agreed to order nine of the Type 26 frigates – a state-of-the-art vessel already being constructed for the Royal Navy. Brexit minister Suella Braverman, Fareham MP, has heralded the news as a glowing endorsement of Britain’s ability to trade internationally with countries after it leaves the European Union. Mrs Braverman said: ‘This agreement will boost Britain’s Australian exports for generations, and demonstrates what can be achieved by UK industry and Government working hand-in-hand. ‘It will also help drive regional growth, create new jobs and showcase the strength of British innovation on the world stage.